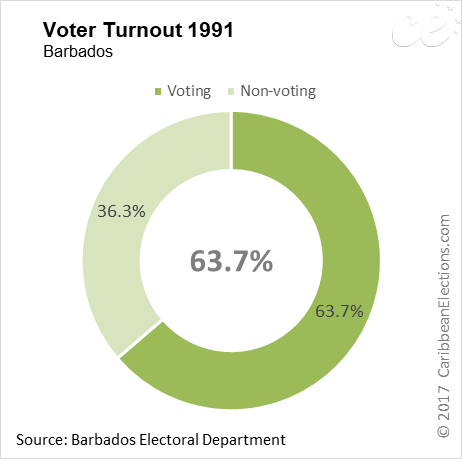 General elections were held in Barbados on 22 January 1991. Elections were held for all 28 seats in the House of Assembly using a first-past-the-post system. 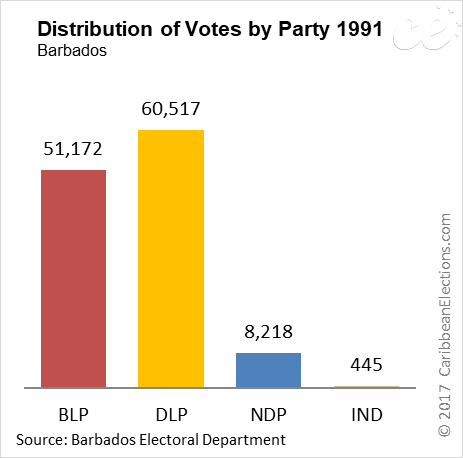 In 1990, the Electoral and Boundaries Commission in its review of constituency boundaries increased the number of seats in the House of Assembly from 27 to 28. 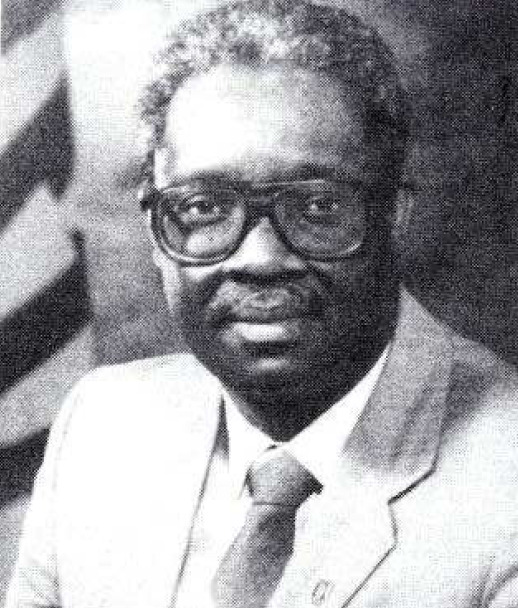 Following the May 1986 General Election, Prime Minister Errol Barrow (Democratic Labour Party - DLP) died in June 1987 and was succeeded by Erskine Sandiford (hitherto the Deputy Prime Minister), who pledged to continue Barrow’s economic and social policies, particularly tax reforms. 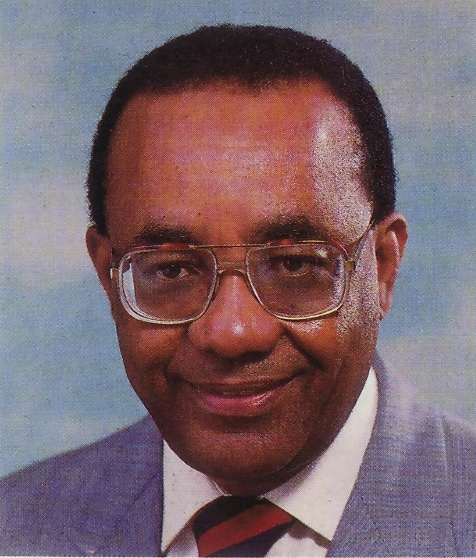 In February 1989, four DLP members left the party to form a new one known as the National Democratic Party (NDP); Richard Haynes, its head, was subsequently appointed as leader of the parliamentary opposition. On 29 December 1990, the Governor-General issued a proclamation dissolving Parliament and Writs appointing Monday, 7 January 1991 as Nomination Day and Tuesday, 22 January 1991 as Election Day. There were 191,000 registered electors, 89,354 males and 101, 646 females. 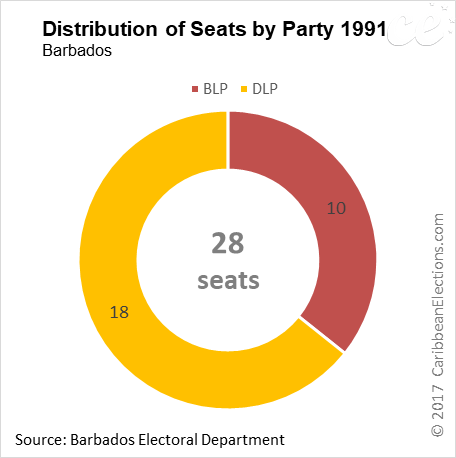 In the 1991 poll, the ruling DLP’s main challenge once again came from the Barbados Labour Party (BLP), which had been in office until 1986. A total of 91 candidates from three political parties contested the election. The Barbados Labour Party (BLP) - led by Henry Forde, the Democratic Labour Party (DLP) - led by David Thompson, and the National Democratic Party (NDP) - led by Richard Haynes - all presented full slates of 28 candidates each. There were also seven independent candidates. 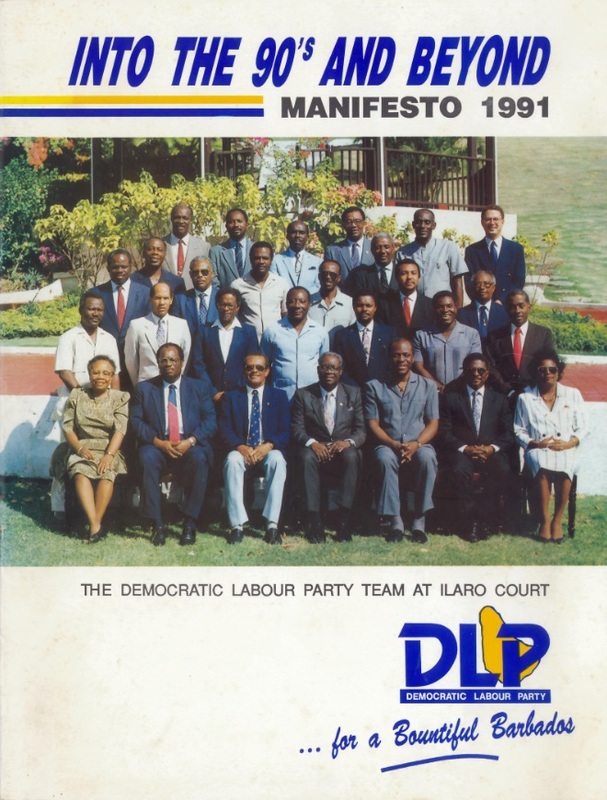 The Sandiford-led DLP ran on a platform of "economic justice" and Caribbean cooperation. 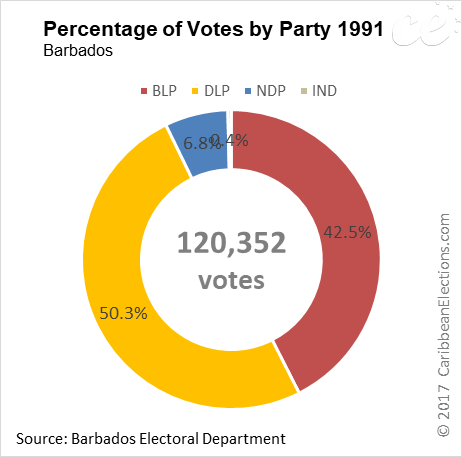 On polling day, Sandiford won his first full term of office as Prime Minister as the DLP captured 18 of the enlarged House of Assembly’s 28 seats. 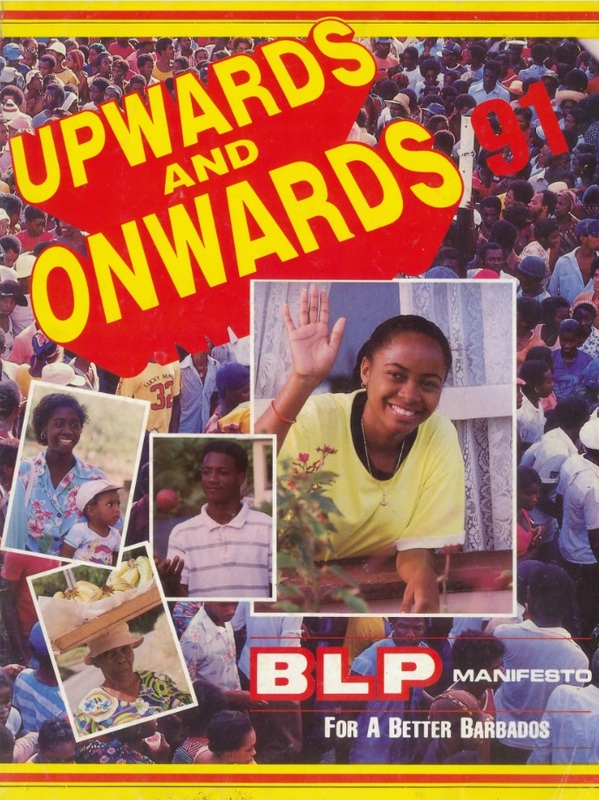 The BLP won the remaining 10. 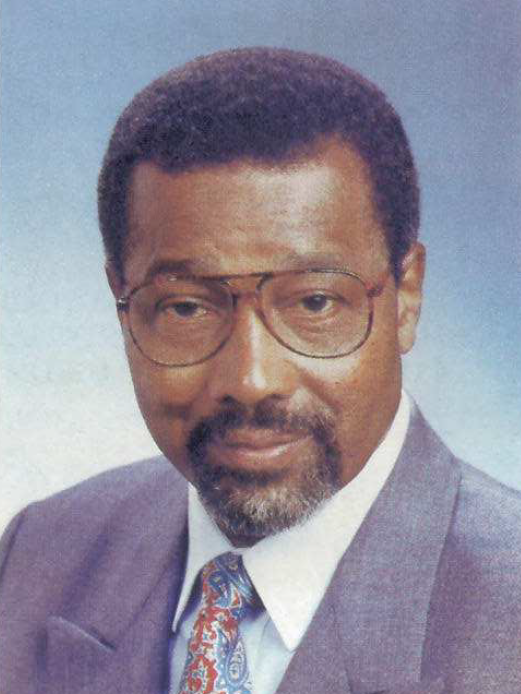 The National Democratic Party, formed in 1989 by former finance minister Richie Haynes, lost all four of its seats. A new Cabinet was announced on 26 January 1991.